The seventh year of our Tools4AgileTeams conference in Wiesbaden is starting to take shape! It's scheduled for the 29 and 30 November and we are now getting down to business (and working on the content). Does culture eat your agile scaling strategy for breakfast?! Culture hacking, agile tools and frameworks – how 'agile does culture need to be before an agile transformation can be successful, and how much pressure do agile transformation strategies and practices put on corporate culture to change? We are now looking for the most interesting and informative examples of both successful and unsuccessful transformations for the Tools4AgileTeams 2018. The T4AT advisory board has officially opened the Call for Sessions: Speakers have until 31 July to submit proposals to share their experiences and expertise with an active and open audience of attendees interested in all things agile. How can traditional organizational development and agile transformations work together? Beyond agile: Which new methods are being talked about? Non-agile large projects for implementing change: What can be learnt from them? You can choose your favorite format: traditional presentations, short workshops, interactive sessions, agile games, panel discussions, or something completely different - everything is possible. There are two options for the duration of your session: 40 or 60 minutes. If you are interested, please enter the details of your proposal in the form below. Our advisory board will review your submission and provide their feedback or ask for clarification shortly after the end of the Call for Sessions. We plan to publish the tentative conference program around the 15 August. We look forward to hearing about your experiences and seeing your proposed topics. We're sure it will be another educational and varied Tools4AgileTeams! ? By the way: Tickets are still available at the special first-bird rate. 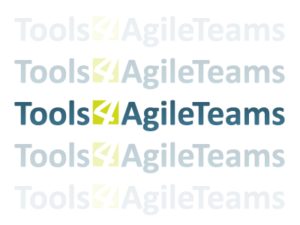 PS: Would you like to support Tools4AgileTeams 2018 as a sponsor? More information about the Tools4AgileTeams sponsoring packages and options, and the advantages of being a supporter.